I think Monday comes to soon. It would be nice if there was another day that I could add to my weekend to give me more time to get everything done. Especially since two of my children were super sick and even though they slept most the time, I found myself cuddling with them instead of actually using that quiet time to do something constructive around the house. I guess that's how it goes. They would rather I was there anyway. Yesterday I sat on the love seat while the little ones were resting on the couch, and the next thing I knew, they had gravitated over to the little couch and were cuddling with me anyway. Even though they were really sick, all they wanted was mom, and I gladly gave them what they needed. Its hard seeing them so sick and I wish I could do more, but the only thing I am able to give them is the cuddles they need. 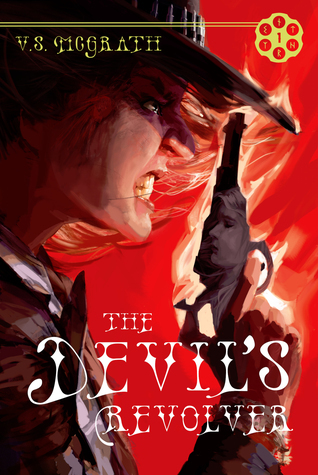 This week I've already started this wonderful book, The Devil's Revolver by V.S. McGrath. So far, its really interesting. A wild west theme with magic and intrigue. I can't wait to get into it more. Make sure you stay tuned for the review to come. 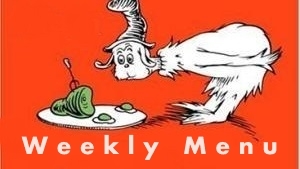 Lets get on to the weekly menu. Enjoy!